Tulip bulbs are planted from mid-September to mid-November. 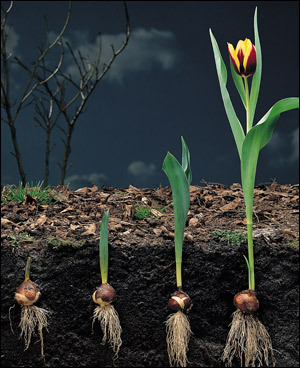 During this period the soil is moist which helps the bulb to grow under the ground. 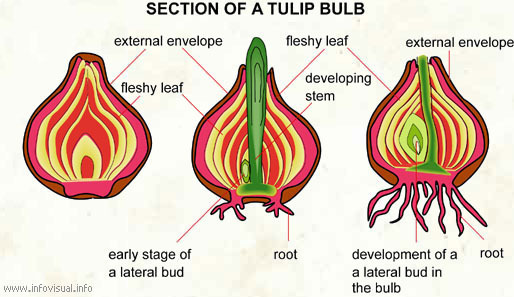 In the first cycle of growth, the roots start growing from of the bulb to form a strong root system. 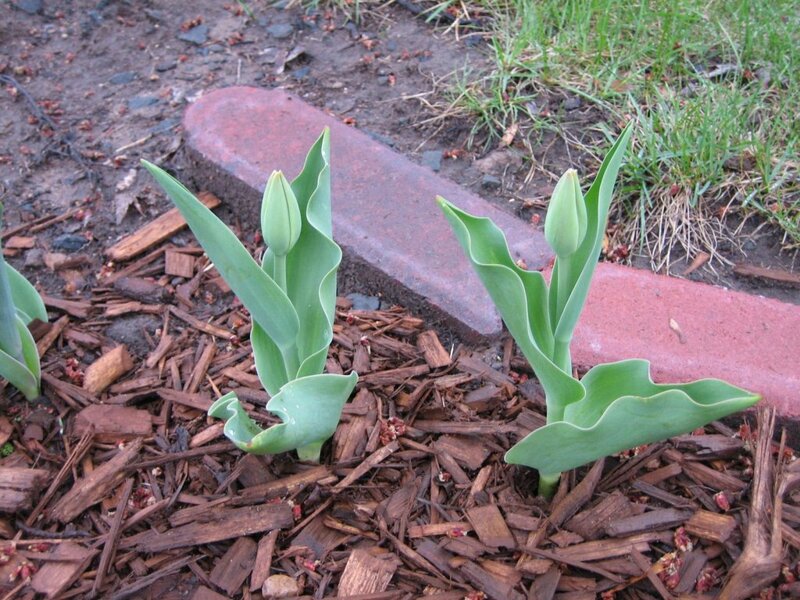 If you have planted the bulbs in the month of October, you can expect a strong root system by December. When the snow-covered soil begins to thaw towards the end of winter, you can see a healthy green shoot coming out from a tulip bulb. By early or mid April, the tulips would start to bloom. 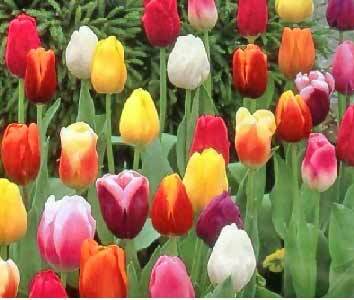 The flowering season of tulips continue till the mid of May. During the flowering season the leaves of the tulips develop. 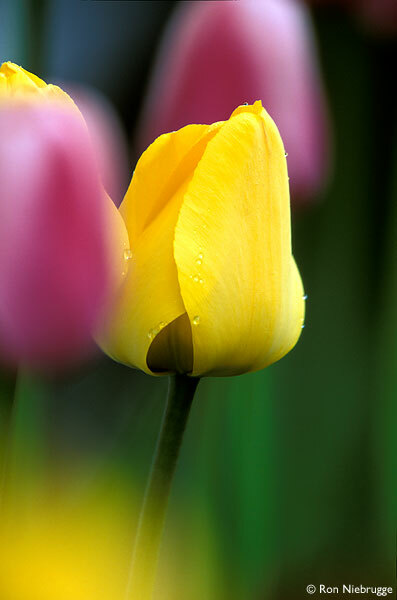 The foliage (green leaves) plays an important role in the life cycle of tulips. The leaves of the tulips should never be cut. The reason, is they are responsible for the process of photosynthesis (process of converting light energy to chemical energy). The food derived from the solar energy is stored in the form of carbohydrate in the bulbs. This food is required for the growth and the flowering process of tulip in the following year. Gradually, the leaves turn yellow and wither away. 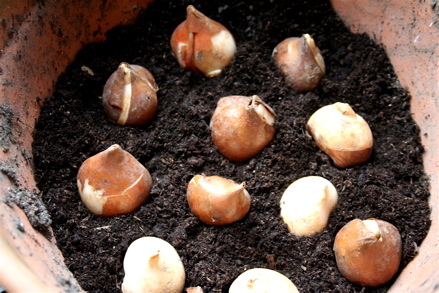 Now the tulip bulbs enter a state of dormancy after completing the yearly cycle.